Bartenieff Fundamentals 3-days workshop with Brenton Cheng. Bartenieff Fundamentals is an approach to basic body training that deals with patterning connections in the body according to principles of efficient movement functioning, within a context that encourages personal expression and full psychophysical involvement. Going beyond simple awareness, ease of movement, and joint alignment, it actively cultivates an awareness of fundamental movement patterns, phrasing, and three-dimensional use of space, drawing on the comprehensive conceptual framework of Laban Movement Analysis, of which it is a part. The practice of Bartenieff Fundamentals addresses our individual balance points between movement polarities such as Exertion/Recuperation and Stability/Mobility; and includes anatomical as well as qualitative concepts involved in efficient and integrated movement patterning. Returning to fundamental movement patterns, we have an opportunity to re-pattern our movement sequencing and functional bodily organization. In this introductory workshop, participants will gain an experiential understanding of the foundational principles of Bartenieff Fundamentals, as well as explore the Patterns of Total Body Connectivity. These patterns provide keys to understanding why we favor the movement we do and where our areas of growth might lie. 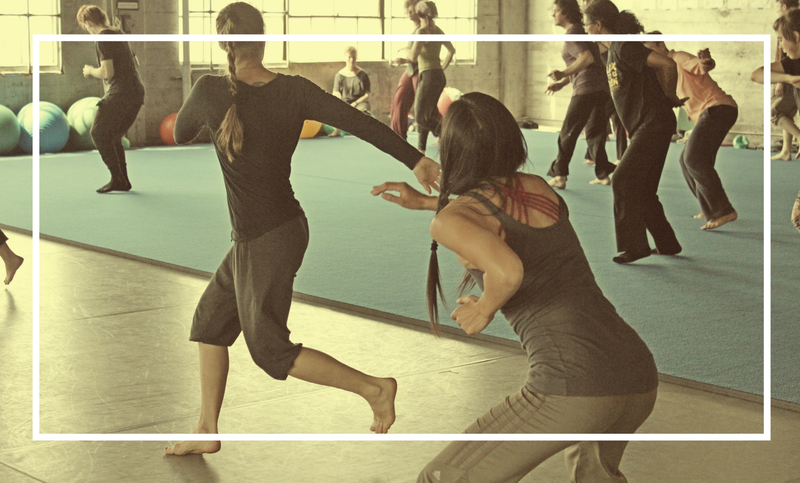 We will use movement improvisation to explore different concepts, working solo and with partners, and also learn specific hands-on facilitation techniques that can be used with clients or fellow movement explorers. $225 for the entire workshop (3 afternoons). No one-day drop-ins. -is a teacher, performer, and director of movement-based performance, as well as a faculty member of Integrated Movement Studies, the West Coast Laban/Bartenieff certification program, and the University of San Francisco. In addition to directing his own work, he has performed with internationally-acclaimed Contraband, Zaccho Dance Theater, Angus Balbernie, Kim Epifano, Jo Kreiter & Flyaway Productions, and many others, at such places as Jacob’s Pillow, Bates Dance Festival, and the Festival d’Avignon, France. He teaches Laban Movement Analysis, contact improvisation, and somatically-based performance skills to professional and non-professional movers in classes and workshops around the world. He also created the world’s first Laban mobile app “Moving Space” — a compendium of the Laban Space Harmony scales. Brenton graduated from the Moving On Center program in 2002.